It's getting crazy! We're in the midst of our final long training runs, packing drop bags for both Copper Basin, Two Rivers 100, and Yukon Quest, and getting ready for the upcoming adventures! This year, we have one team signed up for the Copper Basin. With so many amazing athletes, the final team roster will be a hard pick, so I'll post the lineup closer to race time! Handlers during the Copper Basin will be Gunhild and Derek. Maliko will be staying at the kennel and running the remaining dogs to make sure they keep their miles up. An extreme cold snap is in the forecast for Interior Alaska with -40F temps and colder! Glennallen, the location of the Copper Basin, is just on the edge of it, but here in Fairbanks, Maliko and the dogs will get a nice dose of arctic chill. We also have one team in the Two Rivers 100, which my good friend Amanda Gecas will be running. Maliko will be her handler for that race. This will take place the Saturday after Copper Basin. Amanda will be running several of yearlings to give them their first taste of racing. Main goal- to have lots of fun! 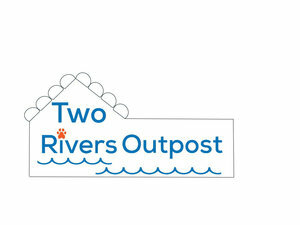 Yukon Quest preparations have already begun with drop bags due in just a week and a half! We'll have a top notch handling crew for the Yukon Quest with Gunhild, Derek, my mom Katy, friend Joan Miller (with whom Amy canine currently lives) and local friend/musher Shaynee. Here's a schedule of the rest of the month, so mark your calendars for our big race days! Saturday Jan 14th- 10:00 AM Copper Basin Start! Friday Jan 20th- Two Rivers 100, Amanda taking a yearling team. Maliko handling. Saturday Feb 4th- Yukon Quest Start! !